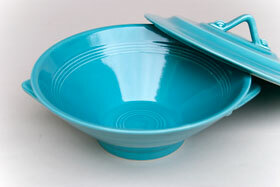 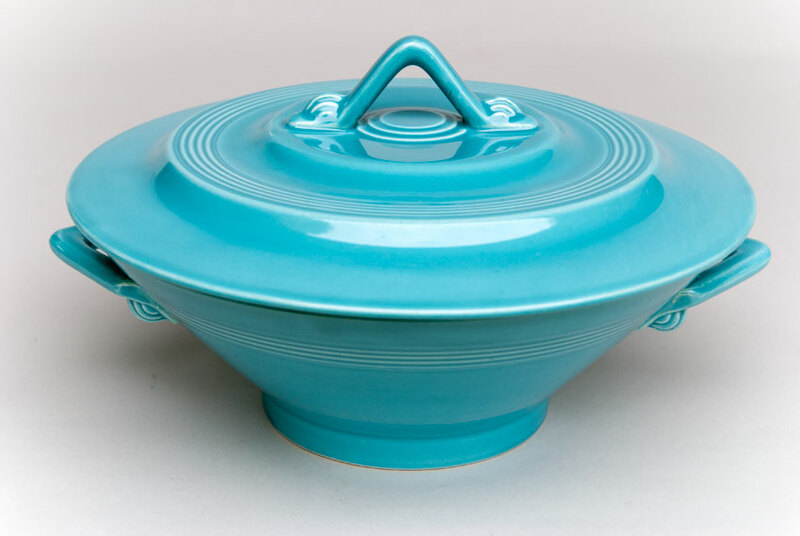 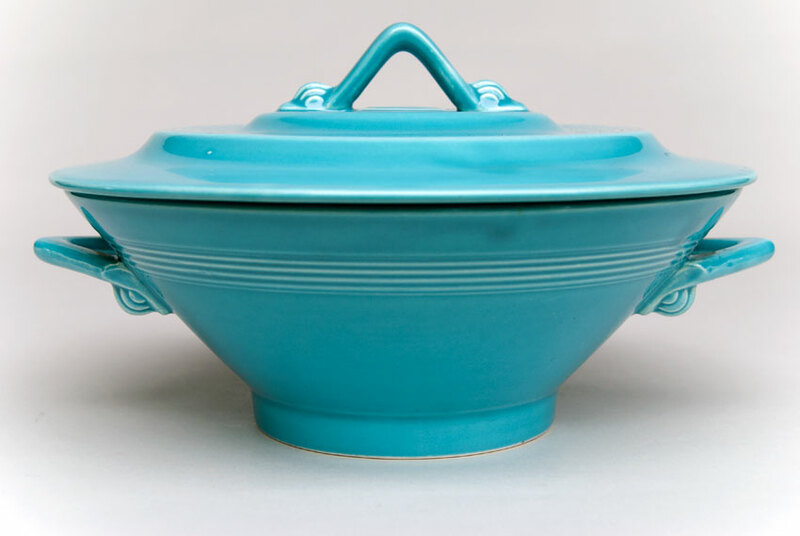 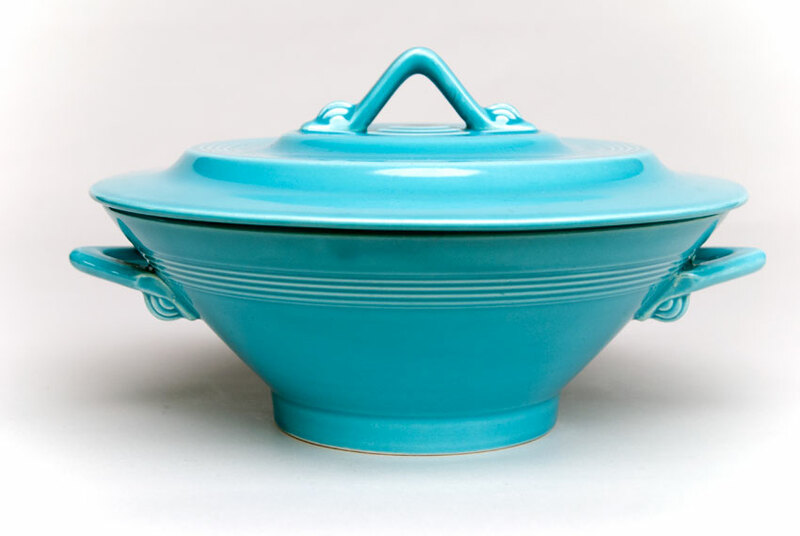 Circa 1936-1959: Vintage Harlequin pottery covered casserole in the original turquoise glaze in excellent condition will delight the collector. 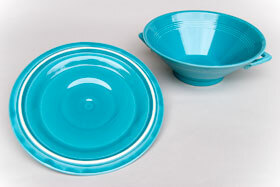 Measuring nearly 10" wide and 5 1/2" tall, the art deco tab handles and triangular top handle are uniquely Harlequin and a wonderful centerpiece on your solid-color dinnerware table. 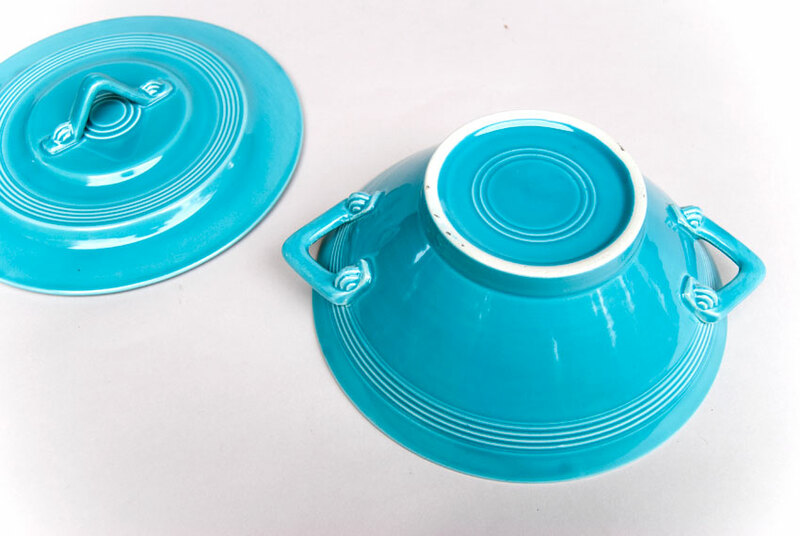 The subtle decorations abound - from the triple tear drop shapes at the edges of the handles to the bands of concentric rings to the sharp angular lines - all just great mid century design elements. 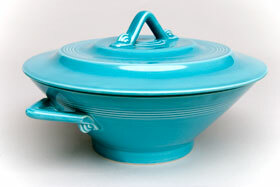 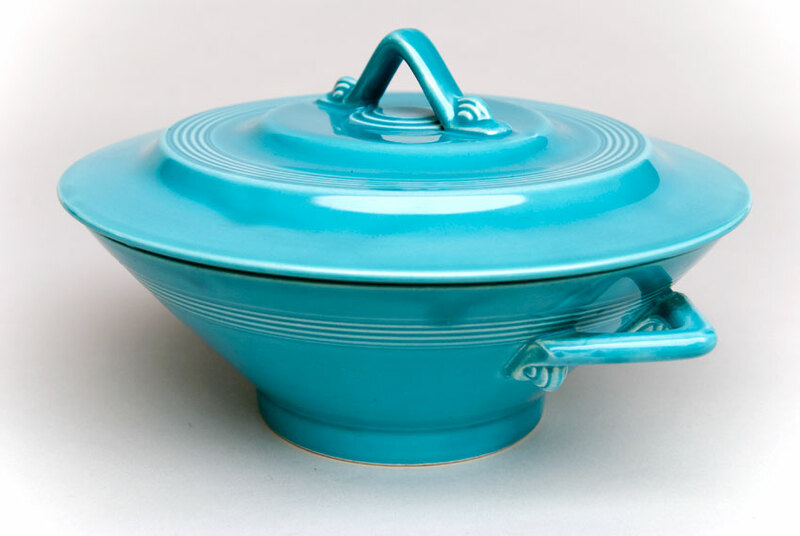 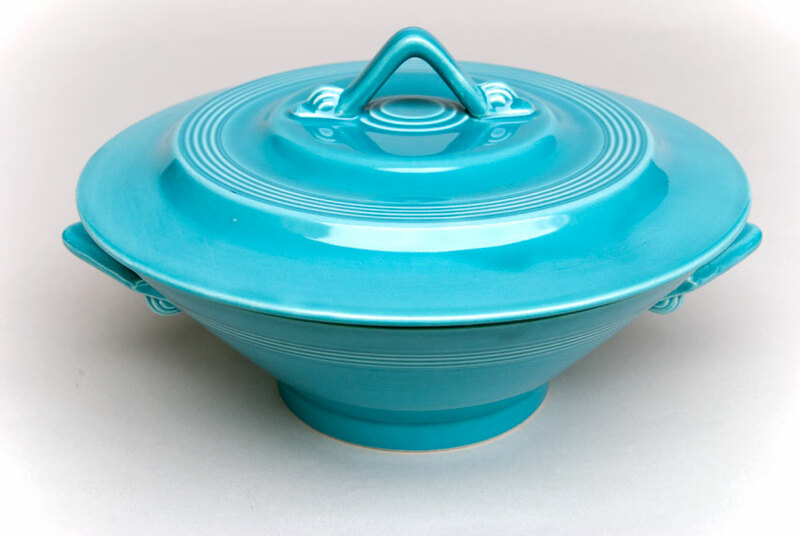 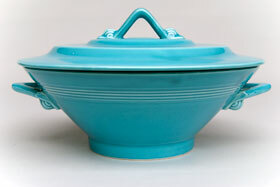 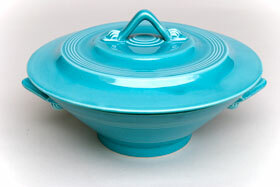 This example is in excellent condition with no damage, no use and a great even glaze without any factory flaws and no scratches or use and no damage— just an all around super example of the vintage Harlequin covered casserole, designed by Frederick Rhead, creator of Fiesta for Homer Laughlin, designed in the 30s, with art-deco elements subtly gracing the handles and shape.